Greg Iavarone joined the hit parade in AA Tulsa's final game of spring in 1990, according to The Tulsa World. The team amassed 13 hits against AAA Oklahoma City. Iavarone, a catcher, contributed a triple and two RBIs, The World wrote. Iavarone returned to the field that year at Tulsa after two seasons off. He played that year and the next, but he never climbed higher than AA. Iavarone's career began in 1985, taken by the Yankees in the 14th round of the draft out of the University of Illinois. The catcher's listed middle name is "Speedy." With Illinois, Iavarone won all-Big Ten Tournament honors in 1985 and played for the Illini all four years. Iavarone played his first year with the Yankees at short-season Oneonta. He got into 28 games and hit .315. He also stole one base. He then played only two games in 1986, both at single-A Fort Lauderdale. He moved to the Cubs system for 1987, seeing time at single-A Peoria and Winston-Salem, as well as AA Pittsfield. He got into 36 overall games, hitting .185. Iavarone isn't recorded as playing at all in 1988 and 1989. 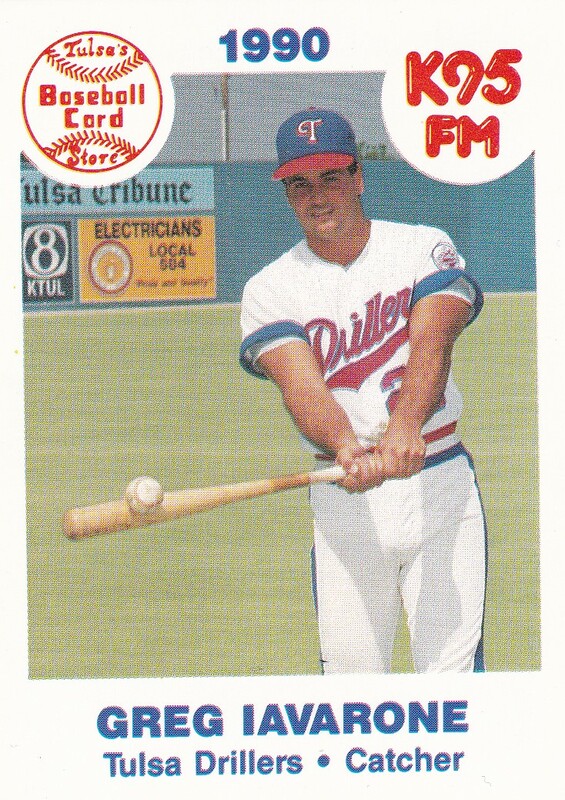 He signed with the Rangers in January 1990 and played that year at Tulsa. In 32 games, he hit .267 and stole two bases. He hit a game-winning double in an April game. His final season came in 1991 back at Tulsa. He got into 12 games and hit .148, ending his career. Iavarone has since returned home to Illinois and become a chiropractor, according to his LinkedIn profile.